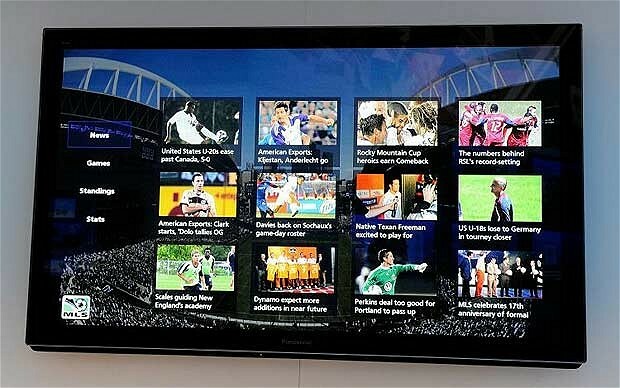 You are here: Home Technology News Television: what does the next decade hold? Comments Off on Television: what does the next decade hold? This week marks the 10th anniversary of Sky+, the personal video recorder, which took time shifted viewing and made it mainstream. Emma Barnett takes a look what the next decade holds for television. Eight million homes now have Sky+ boxes and even more than that have invested in other PVR boxes, such as Virgin Mediaâ€™s new Tivo box or Freeview+. Indeed, Sky+ alone is used more than 35 million times a day, letting people manage their TV viewing schedule around their busy lives, allowing them to fast forward through boring adverts and avoid programmes they would rather not be subjected to. However, many believe that the next decade of technological innovations in the TV space will be defined by the possibilities internet connected-TV sets bring. Ian Maude, head of internet at Enders Analysis, thinks that in-built recommendation engines will become the norm for many by the end of the decade. Brian Lenz, Skyâ€™s director of product design and development, agrees, saying TVs over the next decade are going to get â€˜smartâ€™ like every other device has â€“ most predominantly the mobile phone. â€œTargeted advertising will be a huge part of TVs getting smarter. We are working on it now so that people will be served adverts based on their needs and interests and no two people will be served the same selection of adverts. That will be a huge advantage to people and brands as TVâ€™s get savvier to consumers needs. He also thinks that when people upgrade their TV sets, having a large screen, more than 50-inches wide, will be the norm. As will super HD and unsurprisingly, working for Sky â€“ a pioneer of 3D content, that glasses-free 3D will be part of the TV mainstay. â€œI think we will also only ever watch things we love moving forward, as our TVs will know what we like, record series of programmes we donâ€™t want to miss and suggest content based on likes,â€ Lenz adds. Virgin Mediaâ€™s latest offering, Tivo â€“ an internet connected set-top box, still in its early days, aims to do just this and also offers a search engine as well as a selection of apps. Toby Syfret, TV analyst for Enders Analysis, thinks the streaming of content, such as movies on demand or music, via the TV will become more mainstream and develop as broadband speeds hopefully improve across the UK. However, TV analysts are not convinced that internet-esque features such as search engines and apps are really what regular TV viewers want. And despite all the leaps and bounds in TV technology, people still want the â€˜lean-backâ€™ and uncomplicated experience that they associate with TV. â€œI donâ€™t think the way that people interact with TV will change that much over the next decade, despite the changes big technology players like Google and Apple, bring to the market,â€ explains Richard Broughton, senior TV analyst at Screen Digest. The BBC and all the other major terrestrial broadcasters have teamed up to create an internet powered set top box called YouView, which is positioning itself as the â€˜next generation of Freeview. However, after several delays, it has yet to launch, leaving many TV analysts unimpressed and non the wiser as to what appetite there is in the UK for another internet connected set top box. Broughton is also not convinced by the likes of Apple TV or Google TV, which has yet to come to the UK, post a rocky launch in the US, as the search giant has struggled to secure content and sell the idea of navigating TV via search, rather than the standard electronic programme guide (EPG). â€œThere is a long list of technology companies who have tried, and are trying, to get into the TV space and have failed. Securing the content rights is a tricky but essential area for these contenders. Apple TV which has essentially put iTunes onto peopleâ€™s TVs and been quite disappointing, while Google has yet to present anything in the UKâ€¦ I think a lot of the broadcasters are concerned by these new entrants and are on their guard. In fact Screen Digestâ€™s latest report predicts that by 2015, only 13 per cent of UK TV viewing will be non-live, happening via VOD services, closed catch up services or PVRs.